Children that have access to quality dental care often enjoy healthier smiles later on in their lives. Our Blacksburg pedodontic options allow your family to enjoy safe, comfortable children’s dental care with our Streamline dentists. We will also discuss risk factor that may lead to concerns later on, allowing you to take protective steps to prevent future problems. If your child’s care needs are addressed as early as possible, you can avoid common dental emergencies and painful experiences caused by delayed treatment. In rare circumstances, even hospitalization may be a result from avoiding necessary dental care. Accessing pedodontic dentistry quickly allows your child to enjoy shorter visits, more conservative treatments, and a positive experience that they will look fondly back on as an adult. We recommend that all Blacksburg children receive preventive pedodontic dental care beginning at age 1. Is it time for your child’s first checkup? 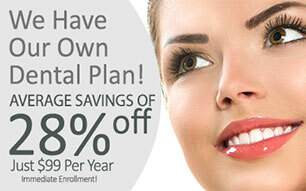 Call Streamline Dental Solutions today.